Longline Tee Graphic Boys. Inspired by streetwear’s urban boys, this black longline tee is loaded with modern details. Slim fit black t-shirt designed with crisp white graphics on chest and sleeves. Constructed with crew neck, curved hemline with slightly extended back and unfinished hems. Graphic longline tee includes elbow-length sleeves extended with graphic details. Made from lightweight cotton material with slight stretch. Athletic-style graphics with centered star and stripe details finished with the world’s fashion capitals. This longline tee is an effortless way to rock the longline trend. 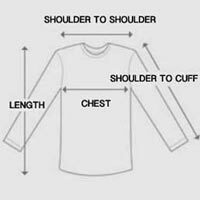 Model is wearing size L. For accurate measurements, check the table below.